Top Cybersecurity Experts to Follow. PHOTO: Cybercrime Magazine. Cybersecurity now touches everyone. Our credit cards have been compromised, our identities stolen, and our private information on Facebook shared in secret. Let’s face it, nothing is 100 percent secure nor private. The media only tends to litter the headlines with sensational misinformation, only to correct or redact the news after readers and viewers have already lost interest. As a cybersecurity professional, I rely on guidance and indisputable facts and data that only top cybersecurity experts from the community can offer. Theresa Payton is a well-respected authority on Internet security, net crime, fraud mitigation, and technology implementation. She was the first female to serve as White House Chief Information Officer (CIO) at the Executive Office of the President from 2006 to 2008 where she administered IT enterprise for the President and 3,000 of his staff members. Theresa is currently CEO of Fortalice, a cybersecurity firm specializing in security threat intelligence and breach services for small to medium businesses. In my conversations with Theresa, I’ve always admired her relentless passion and generosity in educating everyone on cybersecurity. As CEO of SecureMySocial, a social media warning and protection system for employees and businesses, Joseph Steinberg has spent over twenty years in the IT industry. Most recently, he served for 9 years as CEO of online authentication vendor, Green Armor Solutions, where he remains Chairman, and also in several senior capacities at cybersecurity firm, Whale Communications (acquired by Microsoft). I always look forward to Joseph’s columns in Cybercrime Magazine where his eye on both present and future trends educates his readers on all things cybersecurity. Dr. Eric Cole is an industry-recognized expert with over 20 years of hands-on experience, founder and an executive leader at Secure Anchor Consulting where he provides leading-edge cybersecurity consulting services, expert witness work, and R&D initiatives to advance our field. He has authored several books including Advanced Persistent Threat, Hackers Beware, Hiding in Plain Sight, and Network Security Bible 2nd Edition. In addition to regular research, speaking and writing projects, Dr. Cole is an inventor and holds over 20 patents and was a member of the Commission on Cybersecurity under the Obama administration. His ability to distill complex subjects and break them down so easily has helped me tremendously in my own presentations and writings. Kevin Mitnick is a former magician, computer security consultant, author of several excellent books, and of course, hacker. In 1995, Kevin was arrested and later served five years in prison for various computer and communications-related crimes. He now educates companies how to stay safe in his role as the Chief Hacking Officer at rising cybersecurity company KnowBe4. I’ve had the honor to interview Kevin Mitnick at several security events and reviewed Ghost In The Wires, his third book. I’ll never forget an event in which Kevin invited me up on stage and performed identity theft on me right there and then … a truly eye-opening experience. Brian brings his indispensable reporting and researching skills to his own books, blogs and website. Whether its spam, phishing, skimmers or breaches, Brian is my go-to source to find out what happened and get a detailed breakdown of how it happened. Brian is the author of Spam Nation. My favorite work of Brian’s is his coverage on skimming devices. Brian has personally traveled to and located skimmers hidden inside ATMs. While others are soaking up the sun at these Caribbean resorts, Brian is painstakingly documenting all suspicious ATMs and notifying these resorts. I had the privilege to appear with Brian in an interview we did together for an NPR Radio special on the topic of ransomware. Bruce Schneider is an American cryptographer, computer security professional, privacy specialist and cybersecurity writer. He has authored several books on general security topics, computer security and cryptography. His latest book, Data and Goliath, delves into data privacy policies, fears and means to take back control. I thoroughly enjoyed reading this book as it opened my eyes up to how much data we put out there and how very little privacy we actually have. Robert is a successful Canadian businessman who is the founder and CEO of The Herjavec Group. He is also an author, car enthusiast and well-known television celebrity from ABC’s Shark Tank. Robert writes the Cybersecurity CEO blog on Cybercrime Magazine. I had the honor of interviewing key executives at Herjavec’s Lift Off event held last year in Toronto. When I met Robert, I quickly learned he is a down-to-earth guy that also happens to be an exceptional entrepreneur and brilliant leader in the world of cybersecurity. Stu runs KnowBe4, a rising star in the world of cybersecurity that provides crucial cybersecurity training and awareness to employees and employers of all sizes. I had the privilege to interview him at the NYSE and introduce him as a keynote speaker alongside Kevin Mitnick at the 2017 Cyber Investing Summit. After reading and reviewing Future Crimes by Marc Goodman, I was impressed with his strong background in law enforcement and how working with the FBI allows Marc to clearly see where we are now and where we’ll be in the world of crime. Marc regularly educates his audience through his tweets, his book, and his public speaking, which includes advising on how to stay one step ahead of cybercriminals. Don’t let her pink hair intimidate you. Katie is the founder and CEO of Luta Security, which provides solutions architects for vulnerability disclosure & bug bounty programs. Steve is the founder & Editor-in-Chief of Cybersecurity Ventures, a well-respected cybersecurity researcher, journalist, community organizer, and publisher. He authors annual reports on cybercrime and the cybersecurity market – containing de facto standard statistical information which is routinely featured and quoted by major media outlets, professional journals, academia, government leaders, technology vendors, associations, and industry experts globally. Steve generously shares in his Tweets, articles, interviews a deep perspective of cybersecurity issues that affect us all. I got to know Magda Chelly when she invited me to co-author ‘Conversations With Cybersecurity’s Undervalued Workforce.’ Magda is an inspiration to both men and women who are thinking of getting into the exciting world of cyber. She is a cyberfeminist, entrepreneur and managing director of Responsible Cyber based out of Singapore. I recently had the privilege to interview her on my series, What Keeps You Up at Night? Bob is in the trenches every day monitoring hundreds of botnets and ten of thousands infected endpoints. His malware analysis, botnet tracking and mitigation keep us all safer in this challenging world of never-ending cyber crimes. I had the privilege to recently interview Bob on my weekly podcast. Shira is a great resource for cybersecurity information and President of SecureMySocial, which prevents reputational damage and the leakage of confidential information, and helps ensure compliance with various laws. Shira’s work delivers security without requiring employers to monitor workers. Dan is a Chief Strategist and Chief Security Officer (CSO) for Security Mentor – author, blogger, international speaker on technology & security and former government CSO. I have learned more than my share from Dan’s articles on government technology and his various blog posts. His generosity is only matched by his contributions to the cybersecurity community. I had the privilege to be interviewed on several segments and recently was able to return the favor when I interviewed him on my weekly series, What Keeps You Up at Night? John E Dunn is a Security Journalist, and the former co-founder at Techworld and Computerworld UK. He writes insightful articles covering cybersecurity in the UK and globally. John currently writes for the popular NakedSecurity blog, which is published by Sophos. – Scott Schober is the CEO of BVS, Inc. 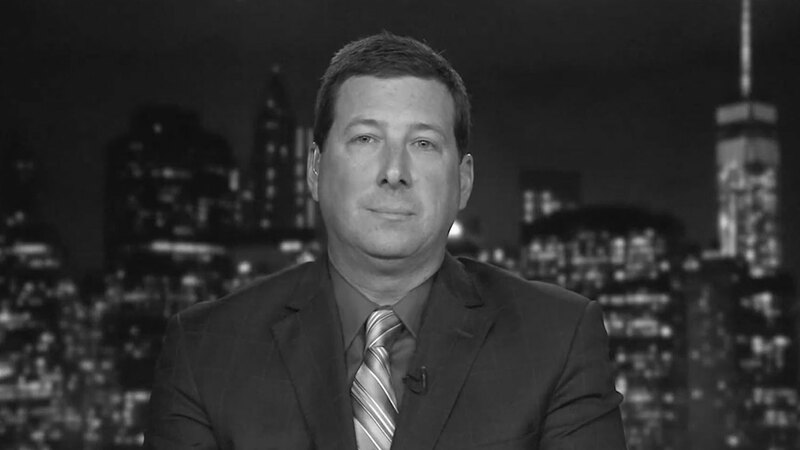 He is an author, speaker, and cyber security & wireless expert at Scott Schober LLC. He has presented extensively on cybersecurity and corporate espionage at conferences around the globe. He has recently overseen the development of several cell phone detection tools used to enforce a “no cell phone policy” in correctional, law enforcement, and secured government facilities. He is regularly interviewed for leading national publications and major network television stations including Fox, Bloomberg, Good Morning America, CNN, CGTN, CNBC, MSNBC and many more. He is the author of ‘Hacked Again’, his latest book as well as a contributor for Huffington Post and guest blogs regularly for Tripwire’s State of Security series. Scott also writes for Business Value Exchange, Fortune Magazine and IBM Big Data & Analytics Hub.